If you agree with the statement, “Diamonds are a girl’s best friend,” you will probably like this Amazon Deal of the Day! 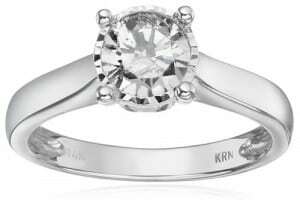 Today on Amazon, you can save on select diamond rings. Yes, you read that correctly! You can save money on loose diamonds as well. You can choose from different price ranges (including $500 or less), so there are deals on rings that should fit any budget- big or small. Your savings will depend on the type, clarity, quality, and original price of the ring. In some instances, you may be able to save $100.00 or more! The rings that are currently on sale come in silver and gold. Some are fancy and some are very plain. You should be able to find at least on that suits your tastes! If you have a nice band but are in need of a beautiful loose diamond, you should check out this special Amazon Deal. Many loose diamonds are also being sold at a discounted price today. An added perk is that many of these rings come with FREE shipping! Please note, this Amazon Discount deal is only available today. Don’t wait too long to place your order! That way, you can get what you want at a price you can afford. 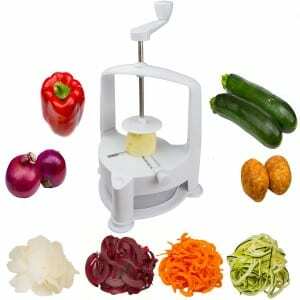 If you are trying to eat healthy foods, you may have heard of a spiralizer. For those of you who have not heard of this kitchen device, it is a special device that allows you to cut vegetables into thin, spiral cuts. Why is this so great? Because you can easily make healthy alternatives to high carb foods like pasta. For example, you can use zucchini to make ‘zoodles’ that resemble noodles but are much lower in carbohydrates. Today, Amazon is running a deal on a Brieftons Vertico Spiralizer. This awesome spiralizer typically sells for $64.99, but today it is on sale for $25.99! This product has excellent reviews from Amazon customers. It is easy to use and easy to clean. Take advantage of this special discount offer while you can! Check out this awesome Amazon deal of the day. 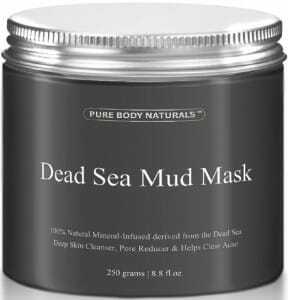 Today, you can get an 8.8 ounce jar of Dead Sea Mud Mask for $14.95. This product typically sells for $49.95! This face mask works to decrease the size of wrinkles, rejuvenate your skin, remove toxins from your pores, and much more. Take advantage of this deal while you can! Amazon is currently running a special deal of the day on a Garmin Nuvi GPS. 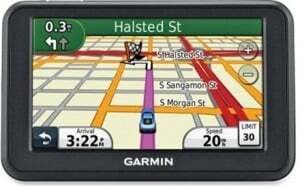 This Garmin GPS typically sells for $159.99, but today it is on sale for $80.00! The Garmin GPS has excellent reviews by Amazon customers. It has a variety of easy to use, helpful features that make this item a wise purchase (at a great price)! This would make a nice holiday gift for someone who enjoys taking road trips. Take advantage of this special offer while you can! 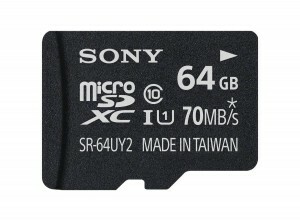 Amazon is currently offering a special deal on a SONY Micro SDXC memory card! This memory card typically retails for $42.19, but today it is on sale for $22.99. This memory is great if you have a tablet because it gives you extra storage space. This card also offers a high transfer speed. Take advantage of this great deal while you can! Fall is here and the weather is growing cooler. Do you need a new coat to keep you warm this fall? If so, check out this Alpine Swiss wool belted trench coat. It typically sells for $185, but today it is on sale for $49.99. This coat has excellent reviews from Amazon customers. It comes in black and gray. 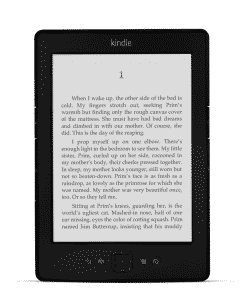 Do you know someone who would enjoy receiving an Amazon Kindle for the holidays? If so, be sure to take advantage of the current Amazon sale on Kindles! For a limited time, you can get a 6″ glare-free Kindle with wi-fi for $59.99! This Kindle typically sells for $79.99. You will save $20 if you purchase this Kindle during the Amazon sale. 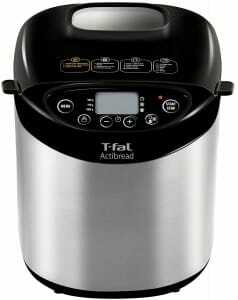 A great Amazon Deal of the Day is the T-fal PF311E ActiBread Programmable Bread Machine. This bread machine typically sells for $229.99, but today only it is on sale for $74.99! The bread machine has a variety of settings for different types of bread. You can also select from different sized loaves of bread. This bread machine would make a great gift for Grandparent’s Day this Sunday, September 13! Don’t miss out on this special discounted price. The deal is good TODAY only! If you are a big fan of Marilyn Monroe, you will LOVE the Amazon deal of the day! 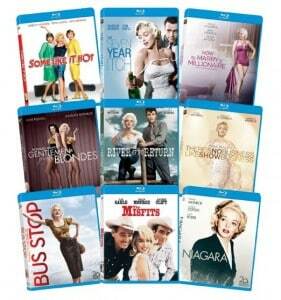 Today only, 9 of Marilyn Monroe’s classic movies are being sold as a set for $29.99! This set of Blu-Ray movies typically retails for $199.99! That is a HUGE savings of $170.00. WOW! The movies included in the set are: Some Like it Hot, Seven Year Itch, How to Marry a Millionaire, Niagara, The Misfits, Bus Stop, Gentleman Prefer Blondes, River of No Return, and There’s No Business Like Show Business. Don’t miss out on this incredible offer- it ends tonight! 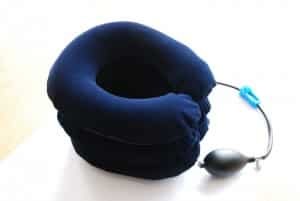 Today’s Amazon Deal of the Day is a Cervical Neck Traction Device that aids in the relief of neck and back pain! It would make a great Father’s Day gift for dad! You can purchase this great item from Amazon for only $18.39 (the regular price is $32.38). Don’t miss this Amazon Deal of the Day!